Gavilan College offers an A.S. Degree or Certificate of Achievement in Economics. Identify and discuss causes of long-run economic growth and short term business cycle fluctuations in growth (e.g. recessions and expansions), and policy responses and initiatives affecting each. apply marginal analysis to resource allocation decisions in a variety of settings, including but not limited to: profit maximization strategies for firms in various competitive environments, and utility maximization strategies for consumers with budget constraints. Students completing this option will have the necessary lower division courses for an economics major at a four-year institution. Four- year colleges may differ in their major preparation requirements for transfer. Consult with a counselor regarding transfer requirements. 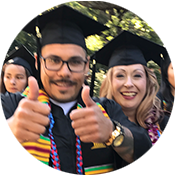 To receive an ASSOCIATE DEGREE complete: The requirements listed below, the general education requirements (Gavilan, IGETC or CSU pattern), plus sufficient electives to meet a 60 unit total. Students are expected to complete the courses or show competency in skill area. 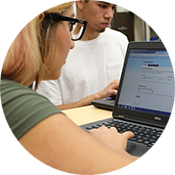 See a counselor regarding the course waiver or substitution process.